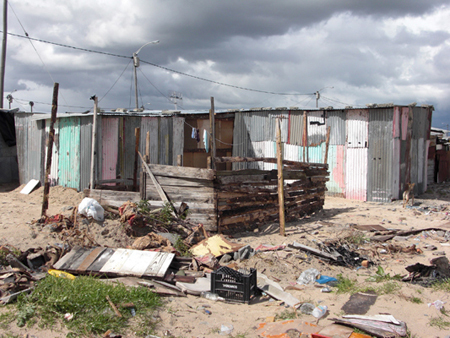 OAD have been involved in charity work for many years. In 2008 however we decided to take things one stage further and physically put our money where our mouth is. 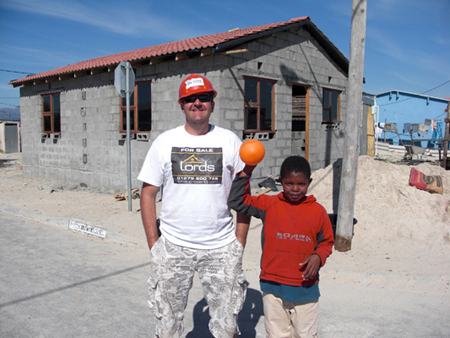 In early September Roy set off with Max Wilfred, OADs finest sign fitter to the townships of South Africa with the global charity Habitat For Humanity. 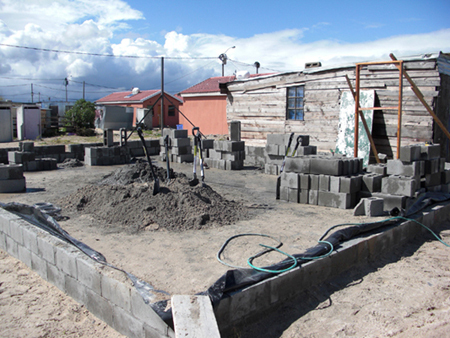 The mission was to construct a brick built house with a tiled roof with windows and doors in only 5 days. They joined a 12 strong team and had their work cut out when torrential rain fell on day one of the build, leaving only four days to complete the task. The team performed exceptionally well in the short time with the house being successfully completed and handed over to the new owners family in an emotional ceremony. Roy & Max with OAD were able to raise over �6,000.00 from various generous clients and friends to fund the house, and make a real difference to the new family who now live in the house. Roy and Max later said it was one of the most fulfilling experiences that they had ever had! If you would be interested in sponsoring any of these charities directly, please follow the web links. If you would like to join us on a team directly working on short term international projects, please contact us, and we will inform you of any trips coming up.